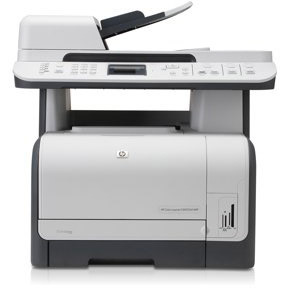 Getting the best print work out of your HP Color LaserJet CM1312 printer requires a reliable toner. You want a cartridge that can produce high-quality documents and images, but you don’t want to spend a fortune on printing supplies. If you’re unsure of how to find affordable toner for an HP Color LaserJet CM1312 printer, 1ink.com can help. There’s no need to pay outlandish OEM (original equipment manufacturer) prices for toner when you could be getting the same performance and the same degree of print quality for over 50% off the OEM retail cost. Remanufactured HP 125A toner from 1ink.com is just what you’ve been looking for. Whether you’re powering a small business or your own creative endeavors at home, this replacement toner will provide you with the results and the user experience you’re familiar with. There’s never any risk to your printer or its warranty from using remanufactured cartridges; in fact, our cartridges install just like an OEM unit would. You’ll get the same page yield and print specs that you’d get with OEM HP cartridges, but 1ink.com helps lower your print-related expenses.